John is a good person, and I wish him well. That said, I voted against him for Speaker TWICE, and I helped to lead the movement calling for a new Speaker because he was not the kind of leader who stands for principle. Dedication to principle gives you the strength to fight for the people, not the special interests in Washington. The American people know the country’s headed in the wrong direction. That’s why they elected a Republican Congress. But over the last five years, Republican leaders in Washington have caved to President Obama at almost every opportunity. We need a Speaker whose top priority is following the Constitution, not raising money from special interests and Washington insiders. We need a Speaker who will stand for principle. We need a Speaker who will FIGHT. I know many of you share my outrage over the Center for Medical Progress' videos showing Planned Parenthood's horrific practice of trafficking aborted baby parts. There is no issue more sacred to me than life. If we as a nation cannot protect unborn babies, I fear for the future of our country. As a member of the Pro-Life Caucus and a stanch supporter of legislation to protect the rights of the unborn, please know that I am doing everything in my power to fight to ensure that Planned Parenthood no longer receives a penny of taxpayer money. H. Res. 399: Expresses the sense of the House of Representatives that the House should consider legislation to protect traditional marriage and prevent taxpayer funding of abortion. H.R. 3429: The Pro-LIFE Act, which would prohibit the sale of baby parts for money or any other item of value. H.R. 3134: The Defund Planned Parenthood Act of 2015, which would defund Planned Parenthood unless the organization certifies that it will not perform or provide funding to clinics that perform abortion or traffic human body parts. This bill will be voted on this week and you can count on me to vote for it. H.R. 217: The Title X Abortion Provider Prohibition Act, which would prohibit Title X grants from going to abortion providers. H.R. 3504: The Born Alive Abortion Survivors Protection Act, which would make a failure to provide standard medical care to an abortion survivor a federal crime. If an effort is made to kill an abortion survivor, stronger penalties would apply. This bill will also be voted on this week and you can count on me to vote for it. July 24, 2015: Letter to Speaker Boehner asking for a vote on defunding Planned Parenthood before the August recess started. July 29, 2015: Letter to House leadership asking for an immediate investigation into Planned Parenthood's trafficking of baby parts as well as a special conference among all House Republicans to discuss how best to address Planned Parenthood's atrocities. The letter also states a resolve not to vote for any funding resolution--an appropriations bill, an omnibus package, or continuing resolution--that contains any funding for Planned Parenthood, including mandatory funding streams. July 30, 2015: Letter to Attorney General Loretta Lynch asking her to appoint an independent counsel to investigate the criminal activities highlighted in the videos detailing Planned Parenthood's altering of abortion procedures and selling of baby parts. July 30, 2015: Letter to Senate Majority Leader McConnell, asking the Senate to consider the pro-life legislation the House has already passed. 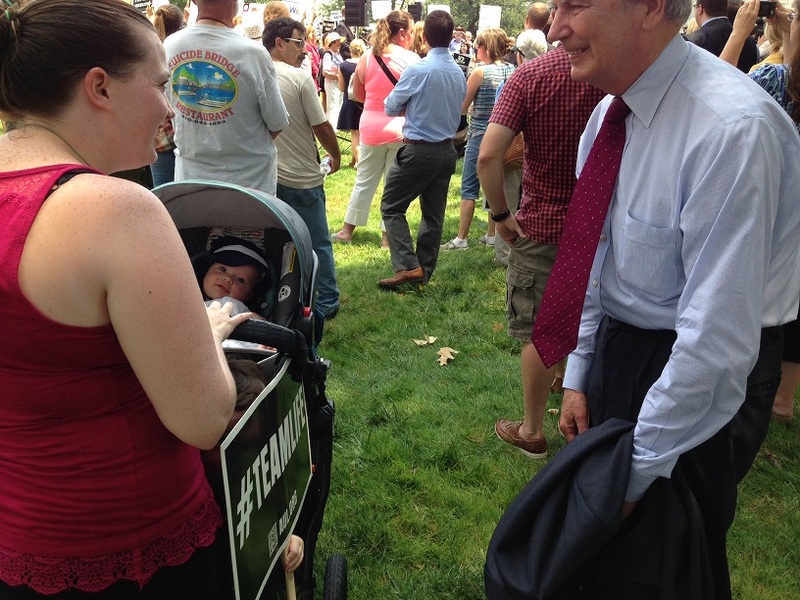 On July 28, 2015, I spoke at the #WomenBetrayed rally at the Capitol calling on House leadership to move legislation to defund Planned Parenthood. 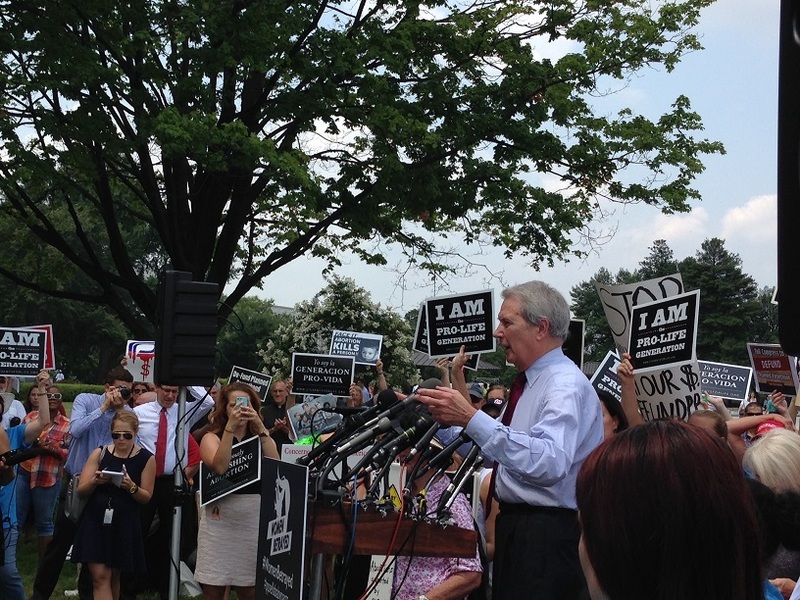 It was great to see so many people in front of the Capitol defending the rights of the unborn. In closing, I want to let you know that when I traveled throughout the third district of North Carolina during the August recess, I heard from so many people who - like you and I - are sickened by the thought of our tax dollars going to an organization that sells the body parts of babies. Please know that I will continue to do everything I can to stop this national disgrace.